Conducting home inspections can be a great way to earn a living. With an average yearly income of more than $70,000, being a home inspector offers a career that’s both interesting and rewarding. There are plenty of opportunities for certified home inspectors to join established inspection companies, work for governmental agencies or start their own inspection business. Before beginning your training, however, there are some things you should know about becoming a professional home inspector and what to look for in a training program. Not every state requires home inspectors to be licensed. Wyoming and Colorado, for example, don’t require licenses to conduct home inspections. It’s highly likely, however, that clients in these states will prefer to work with inspectors who they know have been properly trained and certified. At the other end of the spectrum are states like New York, which calls for 100 hours of classroom training, plus 40 hours of supervised home inspection fieldwork in order to become a licensed home inspector. Before enrolling in a home inspection and certification program, check your state to see if licenses are required, and if so, whether there are any additional rules or requirements for getting a home inspector’s license. Although construction industry experience isn’t required to become a licensed home inspector, it can be helpful, particularly to inspectors who are just starting out in their careers. Much of a home inspector’s job is to evaluate the overall condition of a home’s structural soundness from foundation to roof, along with its plumbing, electrical, and heating systems and equipment. Having a basic understanding of the way homes are built and how the various systems are installed and operate will definitely be useful for working as a home inspector. Lack of construction knowledge and building industry experience, however, shouldn’t deter you from pursuing a career as a professional home inspector. People from all backgrounds with little or no construction industry experience have built successful careers through hard work, a willingness to learn, and sheer determination. Much of what you need to know will be covered in your home inspector training classes. The rest will come from “hands on” field experience, so it’s important to know in advance whether the school where you’re considering taking your training offers its students and graduates free, ongoing technical assistance. Establishing long-term relationships is essential to succeeding in the home inspection business. 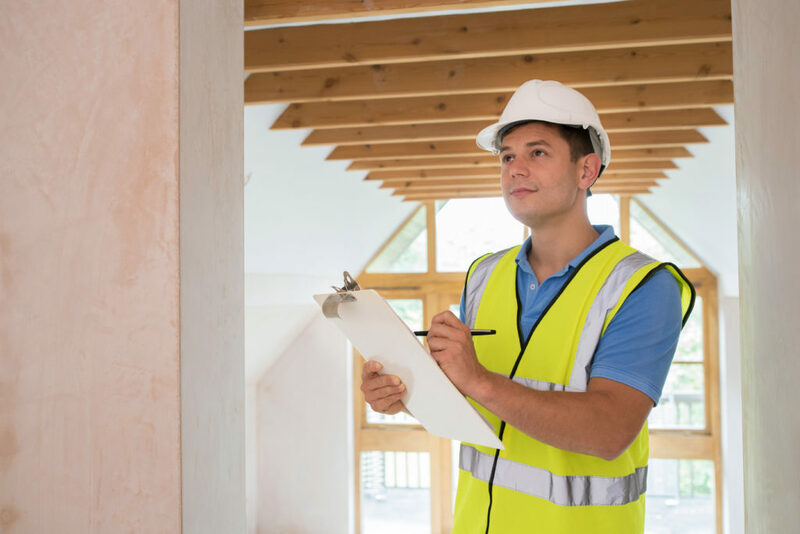 Whether you’re working for an inspection company or are self-employed, strong interpersonal skills play a large part in determining a home inspector’s success. Networking to build relationships with real estate salespeople, lenders, appraisers, homeowners and others in a position to send business your way will be crucial to your career advancement or the growth of your business. Local realtors regularly refer their clients to inspectors they’ve found to be knowledgeable, reliable and thorough in their property assessments. Similarly, clients who are pleased with your work will send friends and associates to you for their home inspection needs. It’s also a good idea to become involved with the local community. Consider doing volunteer work for organizations like Habitat For Humanity, or joining a service organization such as Rotary Club International. The more you network, the more personal contacts you’ll make who are in a position to refer business to you. Are the instructors themselves home inspection industry professionals with field experience? Is free instructor support available for when you have questions or need assistance during inspections? Is the school affiliated with professional organizations such as the American Society of Home Inspectors (ASHI) or the International Association of Certified Home Inspectors (InterNACHI)? Does the program allow students to take training classes at their own pace? Is additional training beyond the basics, such as mold and radon inspection, included in the tuition? Are training and reference materials up to date and readily available online? Does the tuition include software for generating inspection reports? Is commercial building inspection training included in the program? Other items your training should cover include writing pre-inspection agreements and inspection reports, inspecting commercial properties, radon and mold inspection training, using drones during inspections, and starting and marketing a home inspection business. If a full- or part-time career as a professional home inspector sounds as if it’s right for you, Inspection Certification Associates makes it easy, convenient and affordable to receive your certification. When you choose ICA for your online home inspector training and certification, everything listed above and more will be covered and is included in your tuition. To get started on the road to a rewarding new career as a certified home inspector, contact ICA and enroll today!